The Campaign for Democracy on Friday called on the British Government to return Nigeria’s looted fund in its custody as a means of supporting President Muhammadu Buhari’s administration on corruption. 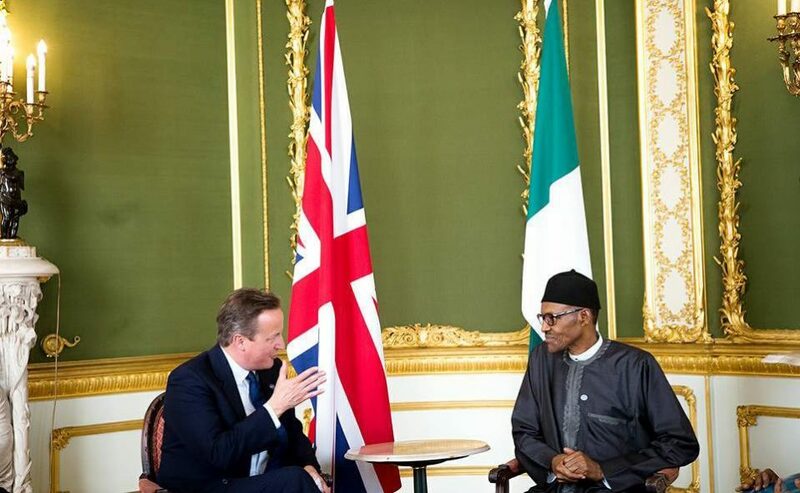 The group in a statement by its President, Ifeanyi Odili, and Secretary, Abdulahi Jabi, said it agreed with the British Prime Minister, David Cameron, who described Nigeria as a fantastically corrupt nation, but noted that the British government allegedly encouraged corruption in Nigeria. According to the CD, Cameron’s statement was a huge embarrassment and affront to the collective intelligence of the Nigerian people, especially when the British government over the years, did nothing to stop Nigeria’s looted funds from entering its country. The statement reads, “We put it to the British Government and other international communities that they are guilty of aiding and abetting Nigerian and other African leaders to perpetrate this act of criminality. “They receive and convert all the ill-gotten wealth from Nigeria to boost their economic fortunes, by conspiring to protecting and hiding the identities of the looters. The CD therefore called on the British Government to tender an unreserved apology to the people of the Federal Republic of Nigeria as a sovereign nation because funds meant to develop the country were being channelled into the British economy by corrupt leaders. The CD recalled the mental torture suffered by Africans during the era of British slave trade and full colonisation of the black race. The group said, “What can be more corrupt than the inhuman treatment meted out to the African man than these aforementioned crimes against humanity? “It is very critical to understand the policy drive of the new administration in Nigeria under President Buhari to repatriate all the looted funds in the custody of the international communities.